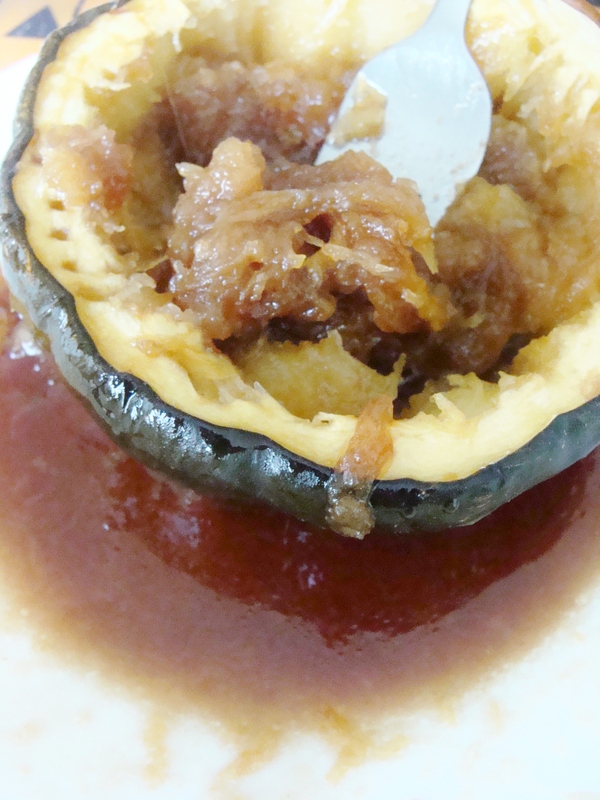 I’d never had a roasted acorn squash until a few weeks ago. I have been missing out! This recipe is so simple–you just have to allow an hour of roasting time for the squash to become tender. It’s as sweet and satisfying as any dessert, in my humble opinion. 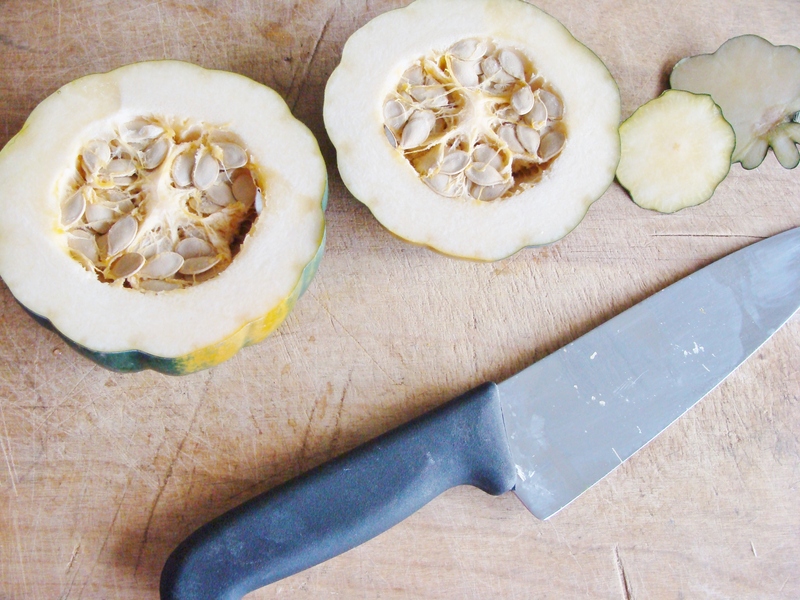 Slice your acorn squash in half. Scoop out the seeds and pulpy flesh. You may need to slice a tiny bit off the bottom of each halve so that it will sit flat. Separate your butter–1 tablespoon per half. Cut the butter into little pieces. Put two spoonfuls of brown sugar in each half, then stick in your butter pieces. Sprinkle with sea salt. 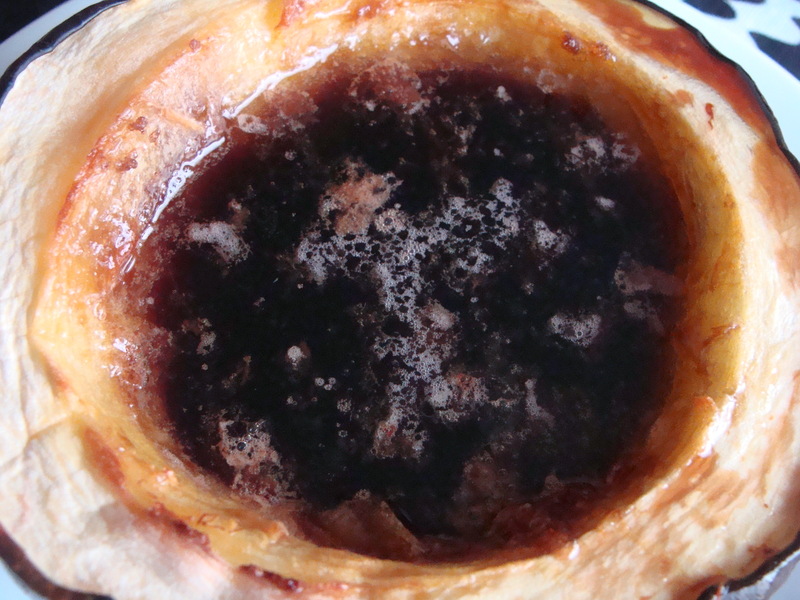 In a medium-sized glass baking dish, pour enough water to cover the bottom. 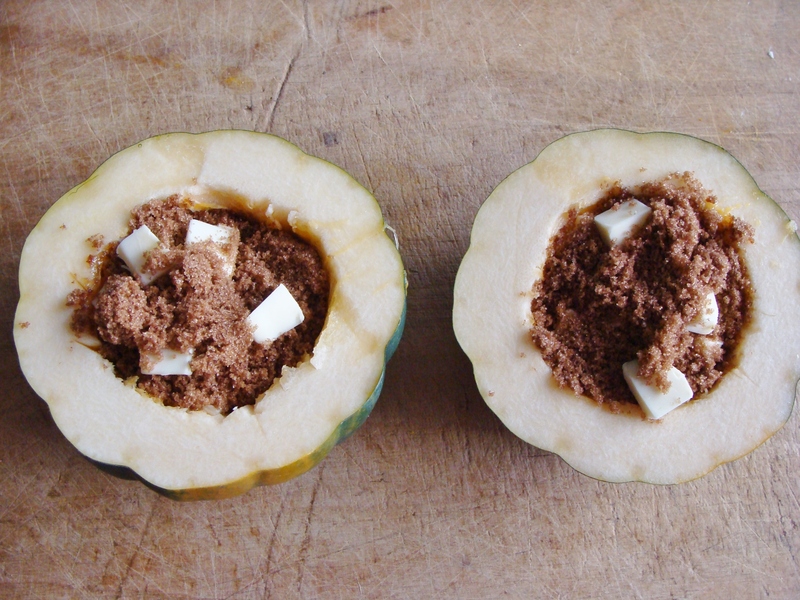 Then, place your squash halves in the dish. Bake at 400 degrees for 60 minutes. Dig in with your spoon. Mmm! « sweet potato and sausage soup. 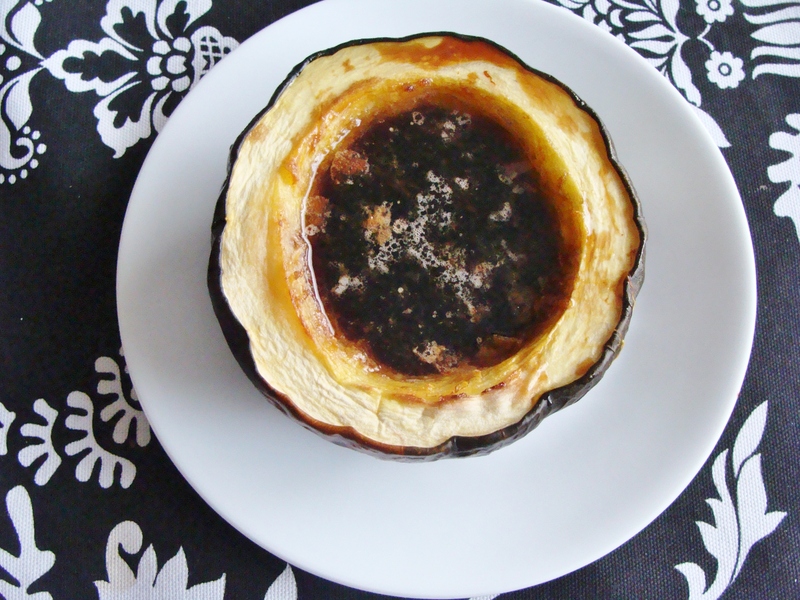 You are currently reading roasted acorn squash. at The Cheesy Kitchen.